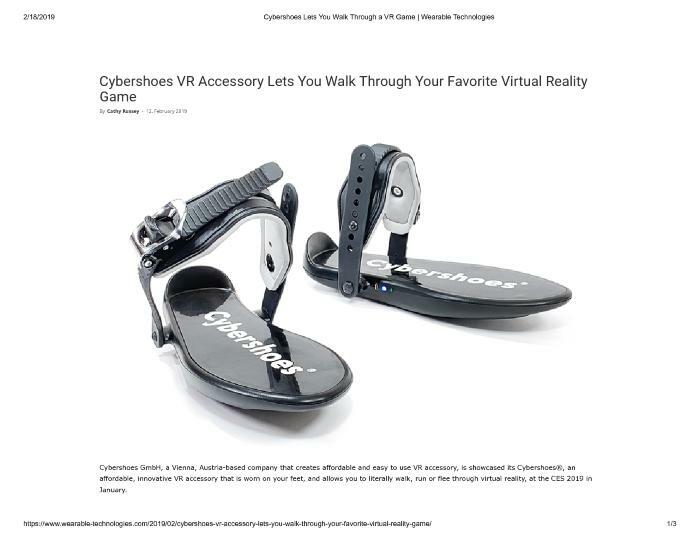 Cybershoes is a VR accessory that will allow its users to walk, jog, or run through virtual reality. Cybershoes are strapped directly onto its wearer's feet. The shoes are compatible with all Virtual Reality games and can be used with HTC Vive and the Oculus Rift. The shoes offer enhanced immersive environments that cna be traversed in new ways by letting its wearers control their in-game mobility by walking on the spot.